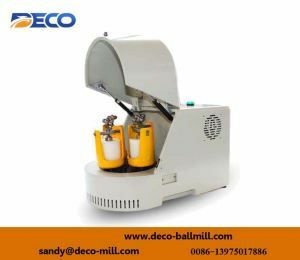 Planetary Ball Mills are designed for mixing, fine grinding, and preparing small volume high-tech material production. Minimum granularity of some materials can be down to 0.1 micron. The machine runs stable, low noise,long service life. More suitable for heavy grinding jars (stainless steel, zirconia, cemented carbide, etc. ).